Historical geographers at the inaugural ICHG, Kingston 1975. Photo Courtesy of Thomas McIlwraith. In the Autumn of 1975, Canada played a pivotal role in the fostering of international conversations amongst historical geographers. The 1975 British-Canadian Symposium on Historical Geography held at Queen’s University in Kingston, Ontario, was the first in a series of international conferences that led to the creation of the International Conference of Historical Geographers (ICHG). The 14th ICHG in 2009 was hosted in the city of Kyoto, the 15th and most recent ICHG took place in Prague in August 2012: the next meeting will be held in London in 2015. The theme of the three day 1975 Kingston Symposium was ‘The Settlement of Canada: Origins and Transfer’ and though it was aimed at fostering connections between Canadian and British geographers, a number of American geographers participated as well. Laura Cameron is Associate Professor of Geography at Queen’s University, leader of the Transnational Ecologies Project, and part of the NiCHE executive. Kirsten Greer is SSHRC Postdoctoral Fellow at the University of Warwick, U.K. and Coordinator of the Transnational Ecologies Project. 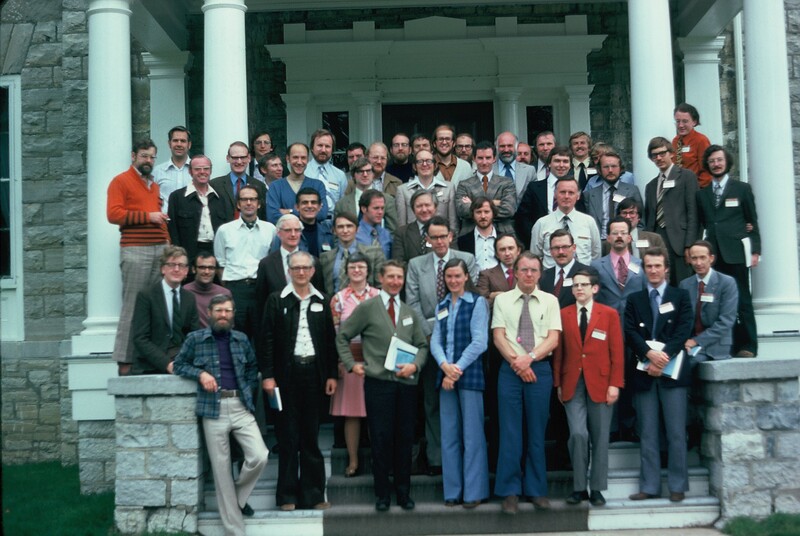 Group Photograph, 1975 British-Canadian Symposium on Historical Geography, Kingston ON.